As I have mentioned many times before, we struggle with Portuguese books for several reasons. Authentic (non-translated) materials in European Portuguese are very hard to find. Portuguese is the weakest language in our household and the one that needs the most support. So I am on a serious hunt for quality resources. We have resorted to other supports like printables or this genius little alphabet (which includes Portuguese). 1. a lot of printed materials in Portuguese are about Brazilian Portuguese. I guess the market is larger but that means European Portuguese is ignored. I have nothing against Brazilian Portuguese but some words are completely different and it is not the Portuguese my husband speaks. So, we would prefer books in European Portuguese. 2. a lot of books are translated from other languages making the materials and texts sometimes of poor quality or not culturally appropriate. 3. we just cannot pop into our local book store or even order on Amazon (there is no Portuguese Amazon *gasp*). With all this in mind, here are 3 books, I would highly recommend. We have read these many times and my kids (1 and 5) love them. This book is for the little ones (below 3). It is the story of a hippopotamus who doesn't want to go with his friends on a little adventure in the jungle. The book has just 8 very thick pages. And it is interactive as each page pulls out to reveal more. This book is part of a series with other jungle animals (Surpresas na Selva). This book is not a translation. It is an original Portuguese creation. And it shows. It is well written and fun. You can see a sweet preview of the illustrations in this short film. Short but sweet for your little ones. Será o Hipopótamo Preguiçoso? (excerto) from ultraleve filmes on Vimeo. This book was made for us and for families like ours. 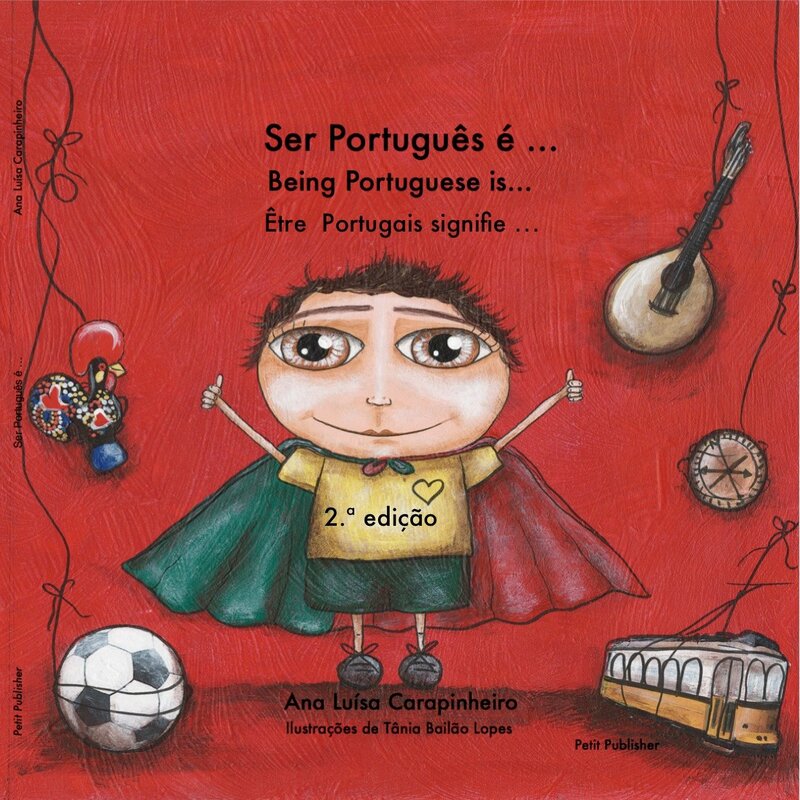 It is ideal for children who are growing up abroad with a Portuguese parent, children who understand that their mum or dad is Portuguese (from 4). The text is simple and is translated in French and English (not necessary but a nice touch if they are multilingual). I am normally not a fan of translated books but the sentences here are so short that it works. 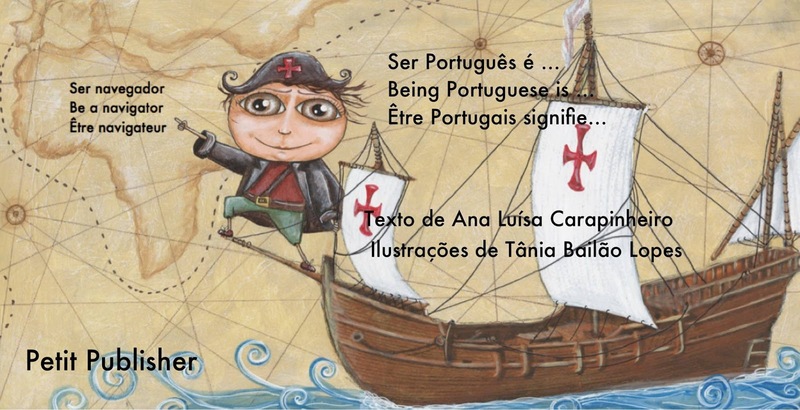 It explains what being Portuguese is about in very simple ideas and concepts kids will recognise and understand. It is published by a small publisher (one more reason to buy it). The illustrations are beautiful too. Our 5 year-old loves it. You can also purchase the book here (worldwide shipping). 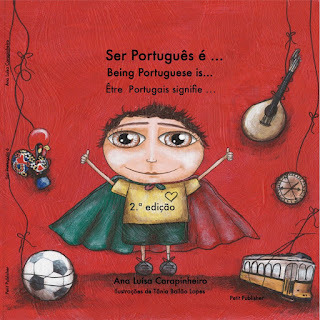 Follow the piri-piri lexicon's board portuguese resources on Pinterest. 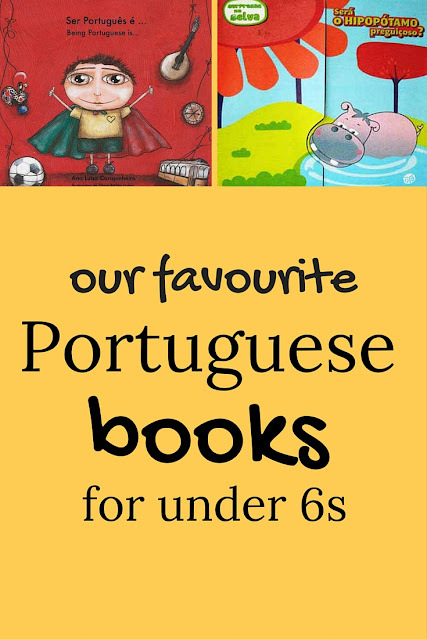 If you are looking for quality books in Portuguese (whether from Brazil or Portugal), Miúda Children's Books is a very good place to look. 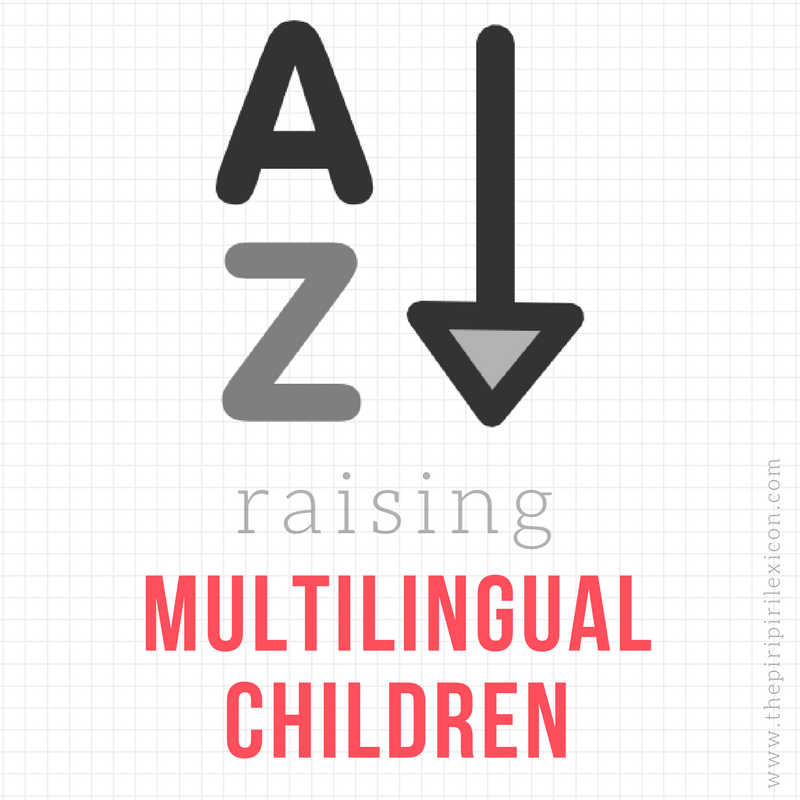 Based in London, they are specifically aware of children growing up in bilingual homes and where Portuguese needs reinforcing. Their book selection is of excellent quality and there are many small publishers represented. They ship worldwide too. We need more stores like these. (N.B. I have no affiliation with them).